Students unearthing artificacts at the Angerona Plantation archaeology site. A group of Canadian university students are about to depart on an archeological expedition to Cuba, spearheaded by Saint Mary’s University. The students will be excavating historical artifacts and investigating the cemetery at Angerona, a Cuban national historic site and former slave plantation, 80 kilometres east of Havana. Interested in applying to join the expedition or looking for more information? Email Professor Taylor at c.aarontaylor@gmail.com. The fee to join the expedition is $1600 (this includes accommodations, meals and transportation within Cuba) plus airfare and tuition (2 credits). The deadline to apply is May 4th. During the 19th century, Angerona was one of the largest slave plantations in the Americas—yet little is known about the day-to-day lives of the people who lived there. 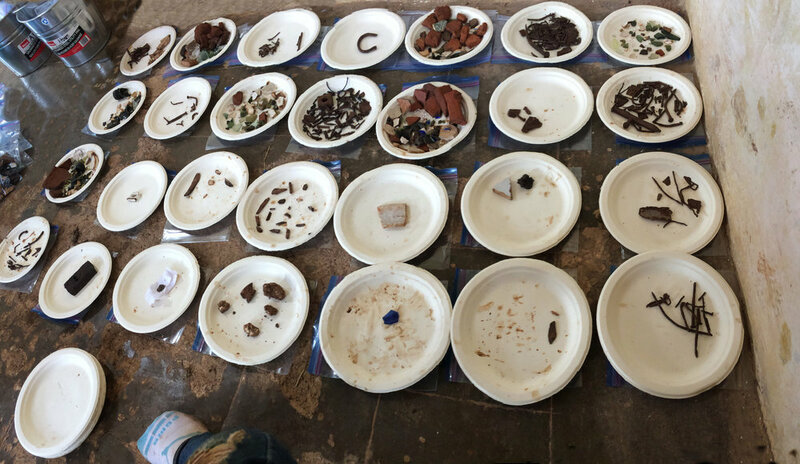 A collection of some of the artifacts found in the first year of the excavation. From June 10 to July 1, students from Canada and Cuba will be working together on excavating, identifying and interpreting the artifacts they find. In addition to continued exploration of the site’s barracks, this expedition will include an investigation of the plantation's cemetery and the recovery of skeletal remains. This will provide a clearer story of life on the plantation. The team will be able to learn more about the people on the plantation, such as their general health, diet, age of death, and burial customs. This will include further research into the possibility that Nova Scotia supplied large quantities of codfish to Cuba during the period of the plantation system. This trip marks the second year of what will be at least a five-year partnership between Saint Mary’s University, Havana’s Cabinet of Archeology and the College of San Geronimo. For more information about the expedition and to apply to join the team, visit http://www.smu.ca/academics/departments/cuba-archaeology.